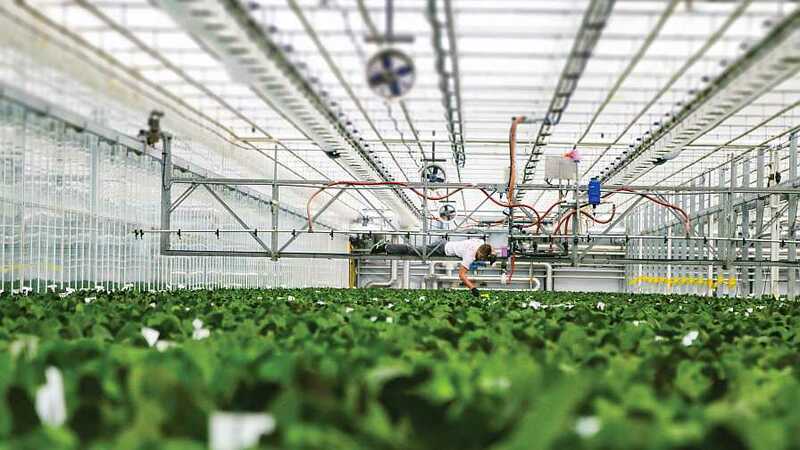 What Is the Current State of Labor in the Greenhouse Industry? One of the questions posed in Greenhouse Grower’s 2018 Top 100 Growers survey was, “What are your long-term concerns about this industry?” A quick word search among the open-ended responses quickly highlighted one overriding issue: labor. So, what’s a grower to do? There’s always the possibility of a solution coming from Capitol Hill, but with immigration a seemingly never-ending hot potato issue, that is a dim prospect. Mechanization is another option, but you have to invest in a way that will pencil out for you most efficiently (which growers large and small will tell you is easier said than done). Staying in the status quo is perhaps the easiest solution. However, even the best growers say this is a risky endeavor, with long-lasting ramifications. Ever-Bloom has invested in new automation systems in the past couple years, yet it still had to scale back its production. Growers of all sizes view labor as the most critical issue affecting their business. This was evident in Greenhouse Grower’s most recent Top 100 Growers and State of the Industry surveys. Dana Massey, President of Plantworks Nursery in Rougemont, NC, says the inability to find labor has only continued to become increasingly difficult. When this happens, day-to-day management responsibilities are being handled by those who should be doing some managing, but mostly leading, Massey says. “Not having someone who is mostly dedicated to working on the business to improve upon plant offerings, structures, and technology inhibits immediate growth and increased efficiencies,” Massey says. An increasing portion of Plantworks’ business is contract growing for landscapers and re-wholesalers. The absence of additional middle management limits the number of projects the company can accept. “We have the growers to grow them, but we are in desperate need of someone to oversee and manage them,” Massey says. These situations may portend an ominous outlook. However, there are solutions to be found, and that is the intent of the Greenhouse Grower team. In the coming days, weeks, and beyond, you will find more articles posted here featuring practical suggestions on labor-saving solutions and strategies, from hiring and training employees, to making the right automation decisions, to designing your greenhouse in a way that allows for maximum efficiency in production and use of your labor crew. You’ll also find advice on using the H-2A program, and choosing varieties that are less labor intensive. We hope that you will find some helpful tips and advice in this issue. And please share any labor-saving ideas you may have by dropping us an email at [email protected].